While traveling, I am missing out on most of the wild antics going on in ds106 where there appears to be hostile class takeovers, student revolts, and a lot of name tossing going on. It’s no wonder what the MOOC people hardly mention this class, as it fits no mold any online open course has used before, or any course for that matter. But it bears saying that the rallying cry, “ds106 4LIFE” is not a throw away phrase. It does mean, that if things get rocky, you just don’t bail, and increment an integer– you stay in the game. “For Life” is not “For Life until the wind blows the other way” – it is FOR LIFE. And it works both ways- I have little actual understanding about what is going on between the various permutations of Dr O’Blivion and family nor what actually Jim Groom is up to. 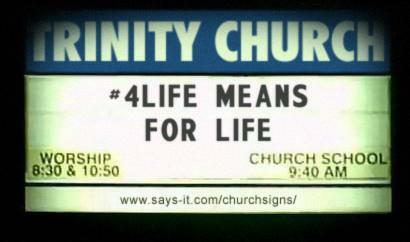 But I do know, that if you are in ds106, than it is “4LIFE” – you cannot be banished by any entity. Nobody has that authority, NOBODY. “For Life” is not “For Life until someone gets pissed off” – it is FOR LIFE. I will point out an observation that merits attention- note that lack of a single animated GIF being published at bavatuesdays since June 26, 2011 — if that is not a cause for concern, I don’t know what is. Something is amiss. There is no banishing and there should be no running away, ds106 is #4Life and you just don’t put asterisks on things like that. It is, however, a curious scenario playing out. It is not clear who is who, and people are trying on personas and playing them out. This is making art damnit, but art that leaps out of the page, out of te screen, and into our own confused reality. Believe you me, if it were only that simple, but when the Reverend himself is the one tossing around the Hammer of Banishment in retaliation for ds106ers trying to bring him back to sanity, ds1064 starts to feel less like a way of like, and more like Jim Groom’s private party. When one of the founding members of ds106 starts to annul the truth that ds106 is 4life, then what meaning does it have anymore? Do we cling to the name, which is nothing more than a few letters and numbers which ultimately will be lost to the ages, or do we cling to the community, the group that has persevered despite the ravages of time (or the ravages of the last 12 months at least). Those of us currently sporting the ds107 tags certainly still feel as though we are ds106 lifers, but needed to make a stand to show Jim that we will not simply kowtow to his dictatorship as he banishes the teacher of the course, along with half of its students! By focusing on 4life, you’re really just encouraging Jim to resort to violence of a life ending nature in order to fully banish people. Just something to consider. This is not a democracy. I’m not under any illusion that anything is forever. Something that is for life can be just as easily broken. While you may claim to be DS106 4life if you aren’t supporting it in a time of war then you might as well be standing in our way. You are dead wait. We will purge the non believers! Down with DS107 For the light! ha ha spelled weight wrong and forgot a exclamation point after ds107 you get the point. Alan I hope you can bring some sense into Jim Groom. We’ve become a bit worried for him. Here’s a chance for you to get up to date on the happens of the past day in the crazy world of ds106.